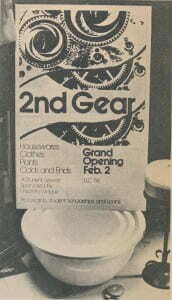 Students Kay Hamilton and Terri Metcalf shopped at 2nd Gear shortly after its opening in 1975. 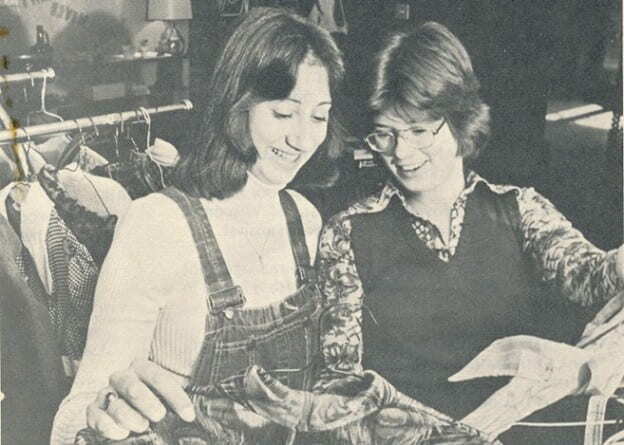 Billed as “a new recycling project at UWGB,” the resale shop operated out of glass-walled, cozy quarters on the Library-Learning Center’s first-floor concourse. Used clothes, albums and kitchen items were hot sellers. Run by volunteers from the University League women’s service organization, the shop raised money for student aid ranging from grants to the childcare center to funding for an emergency loan fund to donations in support of lecture series and art exhibits, library materials and Weidner Center equipment. Faith Sanders was the longtime coordinator, and volunteers handled sales, stocking, consignments and bookkeeping. 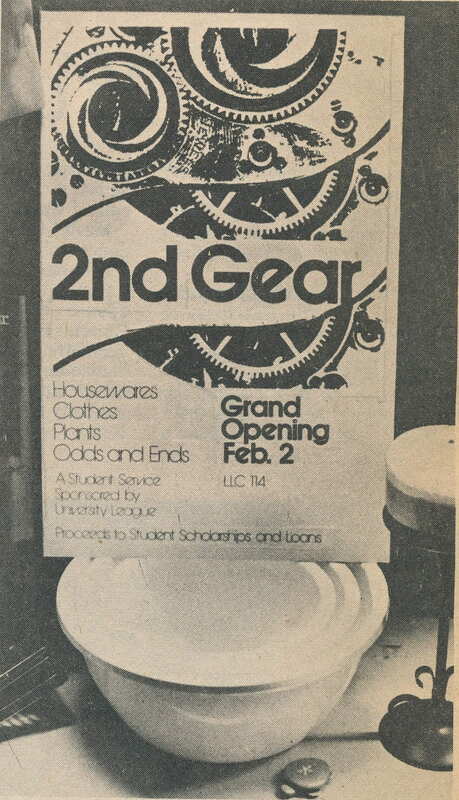 The University League eventually disbanded, a student proposal to take over the shop failed to materialize, and 2nd Gear (located in the general vicinity of today’s Garden Café) closed its doors for good on March 31, 1999. Over the years, the University League awarded student scholarships totaling more than $50,000. That initiative survives. The League directed its remaining funds, more than $20,000 (a healthy sum in 1999), to create a perpetual scholarship endowment. This entry was posted in Phoenix Phactoid and tagged EcoU, facts, Thrift, trivia on August 6, 2015 by Christopher Sampson.